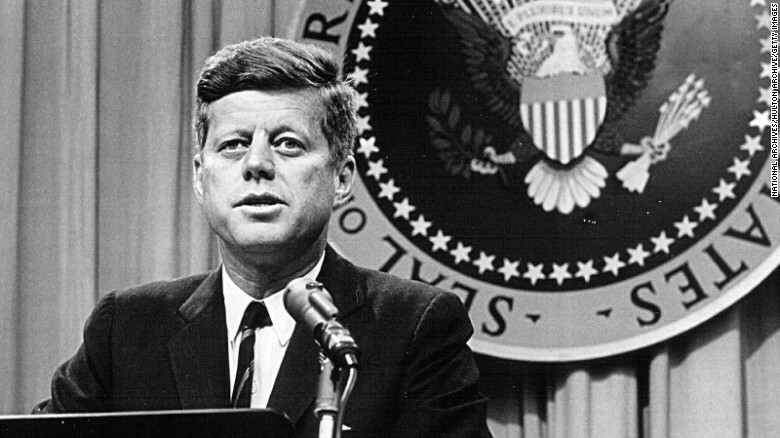 The fourth release of documents pertaining to JFK’s assassination took place today. Over 2,000 more top secret files were made public. Many of the files had been out there before… the difference here is that the redacting was removed. The National Archives today posted 13,213 records subject to the President John F. Kennedy Assassination Records Collection Act of 1992 (JFK Act). The version of these documents was prepared by agencies prior to October 26, 2017 and were posted to make the latest versions of the documents available as expeditiously as possible. I don’t expect any major revelations from this release and neither do the experts. This is part of the roll-out mandated on October 26, 2017 by President Trump. He directed agencies to re-review each and every one of their redactions over the next 180 days. As part of that review process, agency heads were directed to be extremely circumspect in recommending any further postponement of information in the records. They’ve been sealed long enough. Agency heads must report to the Archivist of the United States by March 12, 2018, any specific information within particular records that meets the standard for continued postponement under section 5(g)(2)(D) of the JFK Act. The Archivist must then recommend to the President by March 26, 2018, whether this information warrants continued withholding after April 26, 2018. The records included in this public release have not yet been re-reviewed by the agencies as part of that process and have not been reviewed by the National Archives. The National Archives released 676 documents on Nov. 3, 2,891 more documents on Oct. 26 and 3,810 records on July 24. The John F. Kennedy Assassination Records Collection was established in November of 1992 by the National Archives. It contains approximately five million pages of records. Most have been available since the late 1990s. The records at issue are documents previously identified as assassination records, but withheld in full or withheld in part because of their sensitive nature. These releases include FBI, CIA and other agency documents. For those looking for a smoking gun or some other killer to be identified, they will be disappointed in this release. It also does not illuminate whether there was a cover-up or not concerning the fateful event of that day in Dallas. I have always felt that this was a communist assassination plot between Cuba and Russia. I still believe that. Why all the secrecy over it, I have no idea. I doubt we will ever know the whole story. I have not reviewed all the documents and I don’t intend to. I believe that communism poses an even greater threat here in the US than it did when Kennedy was taken out.